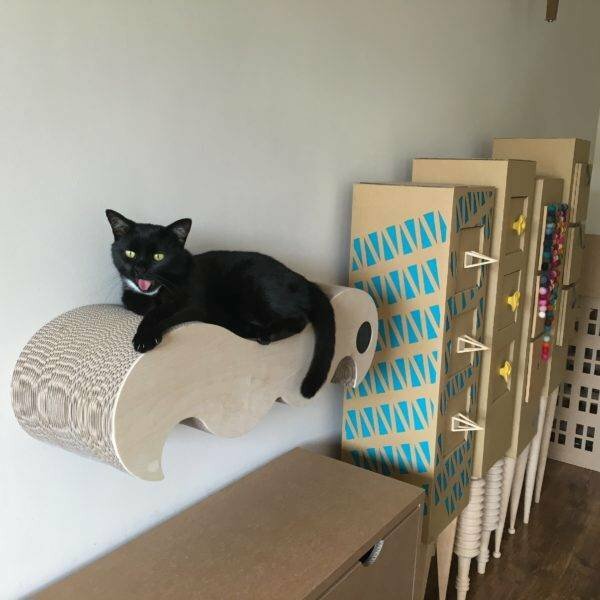 Cute large wall scratcher in cardboard, the favorite material of your cat. Use is stimulated by the 'big belly' curve. The cardboard sheets are pressed against each other, so very solid! Ideal for long-lasting crab fun. Firmly fixed on the multiplex base, so not replaceable. 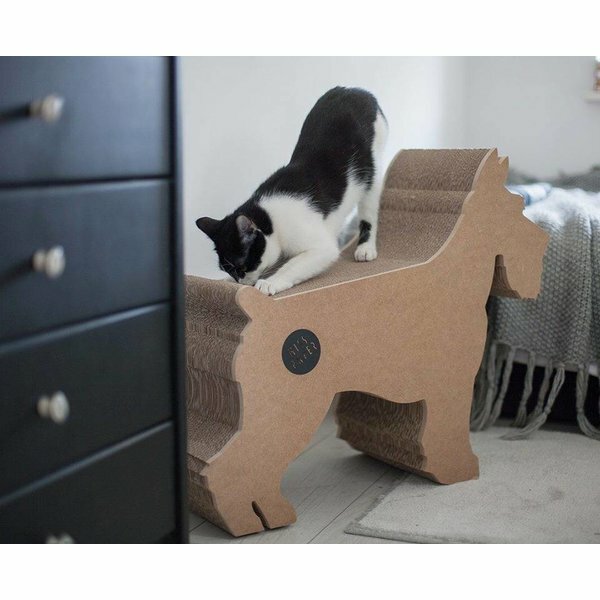 Heavy and stable, so also for large cat breeds. 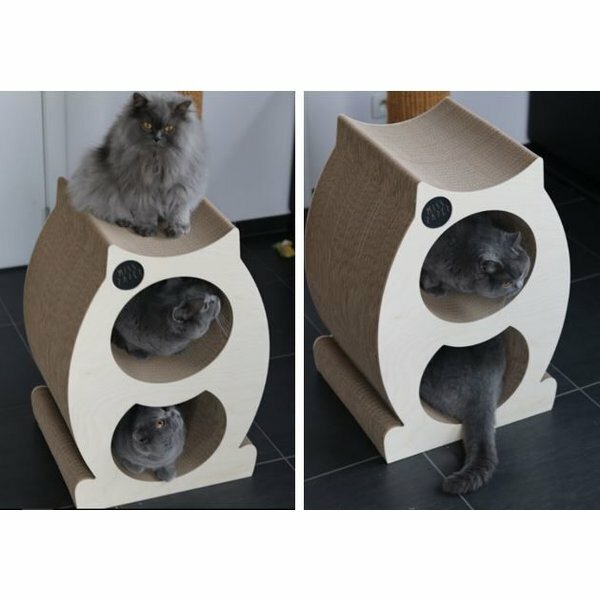 Can be attached with hanging string, but mounting with the 2 supplied screws is recommended so that your cat can really hang and pull the scratcher without it moving.